Alligator Ring Toss Party Game! Inflatable Alligator. Entertain your birthday party guests with an alligator ring toss game! 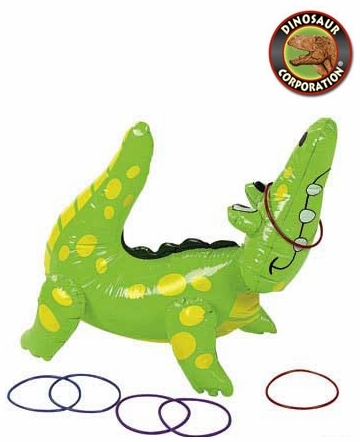 Kids will enjoy tossing rings on this inflate alligator game to practice their aim and win party prizes. 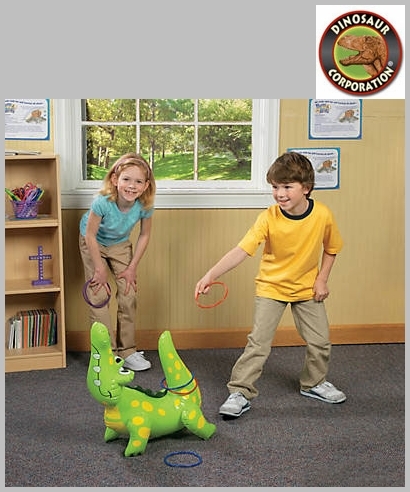 * Our ring toss game includes a 22" vinyl alligator and six 5" plastic rings.